When the magazine was originally created in 2010, it was realised that people wanted more than just adverts - readers wanted something which reflected the vibrant and eclectic nature of Knaresborough and the surrounding villages. In 2013, we introduced an online business directory and more interactive website with links to many other local organisations. 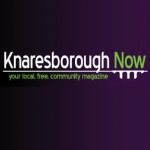 Knaresborough Now has steadily grown in its distribution to over 8,000 copies to homes and businesses every month. When you include our wider audience online, this gives the potential to have adverts and articles viewed by upto 15,000 readers every month ! Of course, it's not just the magazines we hand deliver with our own select team of local distributors, we also distribute leaflets for our customers too and can offer excellent printing rates for all your printing requirements! Knaresborough Now offers excellent and affordable advertising opportunities for local businesses, charities and event organisers and is the only advertising magazine in this area to have high quality full colour for ALL adverts in a glossy print. PLUS we also host our magazine online in both full colour AND black and white versions to support as wide a reader audience as possible.